Your heart muscle needs oxygen to work efficiently. A heart attack (myocardial infarction) usually occurs when blood flow to the heart is suddenly cut off. When this happens the heart muscle is starved of oxygen-rich blood. In just a short period of time, part of the heart muscle can be damaged or die. That’s why immediate care is critical—it can spare your heart and save your life. If you think you are having a heart attack, dial 000 immediately. Unfortunately, once you’ve had a heart attack your chance of having another one is higher. But there are steps you can take to protect your heart. Taking prescribed medications, following an exercise program tailored to you, maintaining a healthy weight and being careful about what you eat can all help keep your heart healthy. Controlling your blood pressure and lowering cholesterol are also important steps to help prevent another heart attack. 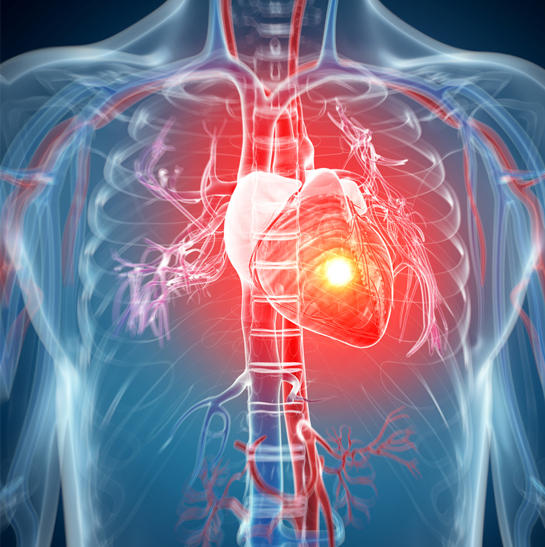 The most common symptom of a heart attack or blocked arteries is chest pain or pressure. Some people describe it as discomfort, squeezing or heaviness in the chest. Have pain or discomfort in your back, jaw, throat, upper belly, or arm. Sweat, feel sick to your stomach, or vomit. Feel lightheaded or suddenly weak. Have a racing or fluttering heartbeat.